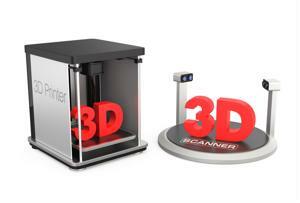 Home Unlabelled Can 3D printing lead to corporate cost reduction? Companies often use supplier relationship management applications to figure out where they can reduce production costs, and many executives are finding that using 3D printing may help their factories save big in the procurement process. Also known as additive manufacturing, the procedure involves layers of certain materials being laid down in different shapes according to digital models. According to The Economist, 3D printing provides organizations with a more cost-effective way to produce simple mechanical parts. Older techniques, which typically involve casting, welding and drilling compounds, often waste materials. Additive manufacturing eliminates these extraneous expenses. The news source noted that Siemen's market research analyst factored in the high level of operability associated with this revolutionary process, deducing that the relatively new technique will help the company save 30 percent in production expenses. The Economist also acknowledged that large enterprises are employing 3D printing in their operations. For instance, General Electric is using the technology to create fuel nozzles for its highly anticipated Leap engines, which will power new models of the Boeing 737 and Airbus A320 airplanes. GE told the source that the mechanisms will be 25 percent lighter and five times more durable than their predecessor. Aircraft producers such as Boeing and Airbus are likely to witness significant savings due to this strategic sourcing approach. Because their jets will be lighter as a result of the nozzles developed by GE's additive manufacturing technology, fuel costs will decrease. The fact that they'll each be using less petroleum to propel their engines appears attractive to airlines cognizant of sustainability initiatives. In the modern era, the more energy-efficient a company is, the more likely consumers are to favor the services of their competitors. In addition, the cost savings associated with 3D printing may help Northern Ireland get back on its feet. Belfast Telegraph reported that Graham Tromans, a United States citizen and additive manufacturing expert, claimed that 24 percent of 3D printing technology is being used by the consumer products, health care and automotive industries as well. According to the source, he recently spoke at the offices of Laser Prototypes Europe, the oldest rapid manufacturing bureau in the United Kingdom and Ireland. "The factories of the future will be driven by computer technology," said Tromans, as quoted by the source. Tromans is certainly correct in deducing that digital programs will have a profound effect on the manufacturing industry. One only has to observe the success of vendor resource management to witness how technology has revolutionized manufacturers' and resellers' procurement techniques.